Medieval Italian communes are known for their violence, feuds, and vendettas, yet beneath this tumult was a society preoccupied with peace. Peace and Penance in Late Medieval Italy is the first book to examine how civic peacemaking in the age of Dante was forged in the crucible of penitential religious practice. Focusing on Florence in the thirteenth and fourteenth centuries, an era known for violence and civil discord, Katherine Ludwig Jansen brilliantly illuminates how religious and political leaders used peace agreements for everything from bringing an end to neighborhood quarrels to restoring full citizenship to judicial exiles. She brings to light a treasure trove of unpublished evidence from notarial archives and supports it with sermons, hagiography, political treatises, and chronicle accounts. She paints a vivid picture of life in an Italian commune, a socially and politically unstable world that strove to achieve peace. 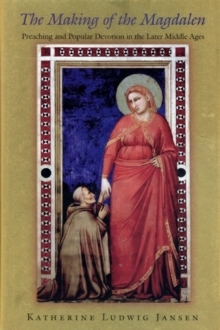 Jansen also assembles a wealth of visual material from the period, illustrating for the first time how the kiss of peace--a ritual gesture borrowed from the Catholic Mass--was incorporated into the settlement of secular disputes. 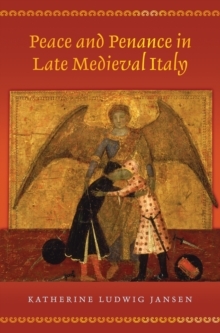 Breaking new ground in the study of peacemaking in the Middle Ages, Peace and Penance in Late Medieval Italy adds an entirely new dimension to our understanding of Italian culture in this turbulent age by showing how peace was conceived, memorialized, and occasionally achieved. Pages: 280 pages, 34 halftones.